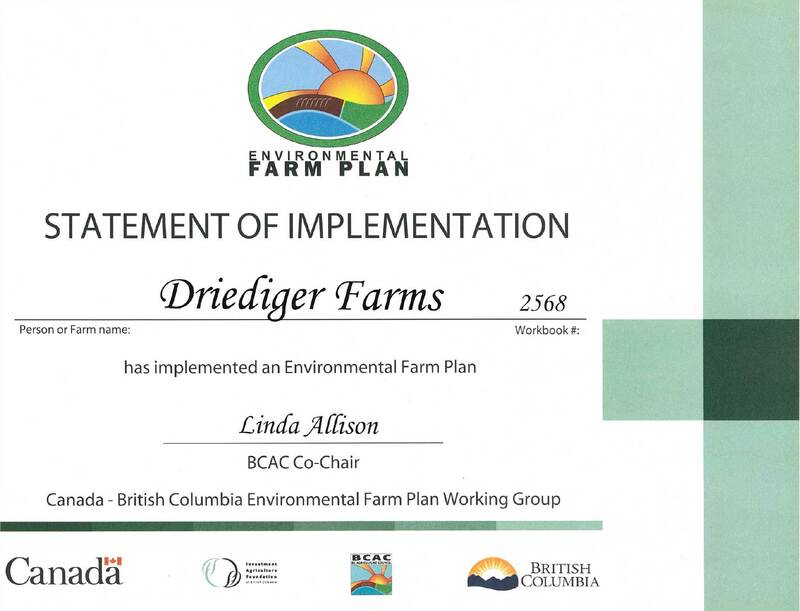 Farmers who have an Environmental Farm Plan are serious about learning how to reduce agriculture’s impact on the environment – Driediger Farms is committed to reducing our footprint and proud to be part of the Environmental Farm Plan since 2010. 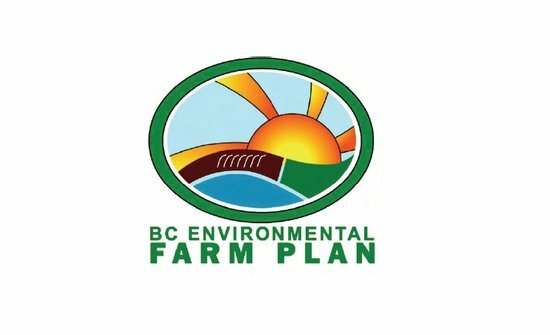 Find out more about the Environmental Farm Plan here. View our Environmental Farm Plan certificate here. Integrated pest management (IPM), also known as Integrated Pest Control (IPC) is a broad-based approach that integrates practices for economic control of pests. IPM emphasizes the growth of a healthy crop with the least possible disruption to agro-ecosystems and encourages natural pest control mechanisms. Pairing IPM with our commitment to the environment and our customers we use chemicals as a last resort to our pest management system. At Driediger Farms we use an integrated pest management (IPM) system that includes monitoring of pest levels by an outside company. When pest levels grow we decide together with the outside management company if a chemical treatment is necessary or if the natural predators can take care of the problem without risking damage to the crop or the plants. We have reduced our sprays by 50% by using this method and have also been part of successful research projects that lead to the development of biological pest control methods, we are proud to be a part of this research. In Canada most farmers do not spray unless necessary as chemicals are extremely expensive and most pests can be controlled by the IPM programs in place. Do we need to spray? The question to spray or not to spray has no easy answer; farming today is not as easy as it once was, it requires a total quality management outlook that includes; plant production, health & safety, environmental responsibility & sustainability, wildlife protection, water management, labour planning & training, succession planning, regulatory compliance , community involvement & protection – The short answer is yes we use spray when necessary to protect our crop, we do not take that responsibility lightly and we are proud of the ethical and responsible spray decisions we make. Pesticides are stringently regulated in Canada to ensure they pose minimal risk to human health and the environment. Under authority of the Pest Control Products Act, Health. All products are evaluated for their efficancy, post- harvest intervals, and safety prior to being available for use. 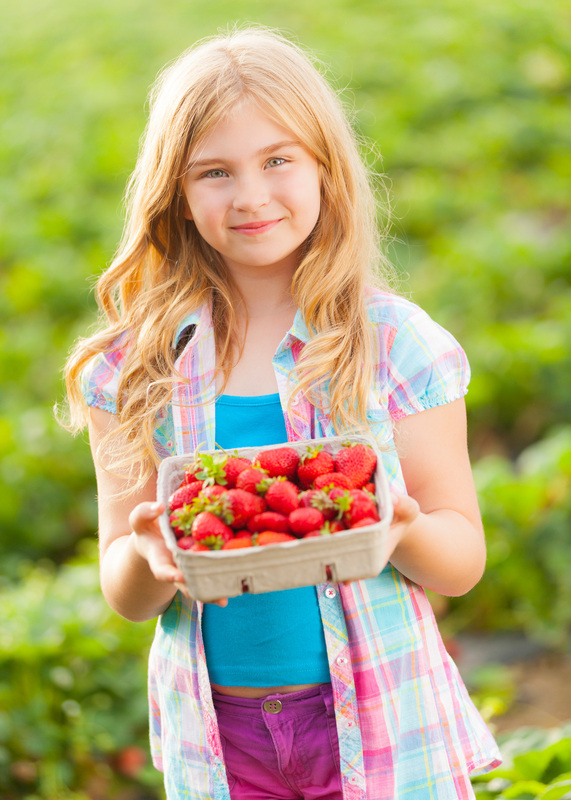 We ask that people concerned about pesticides email the Pesticide Management and Regulatory Agency (PMRA) and demand that they HELP agriculture by working with us to get access to better products that are greener and less toxic. It can take 5-10 years to have a chemical registered here in Canada for use, however that same chemical, may be allowed on produce shipped to Canada. Should I wash my fruits and veggies? You should wash all produce and fruit under running water before you cut, cook or eat it — regardless of if you buy it at the supermarket, farmers market or grow it in your own backyard. As a consumer, your concern should be residue levels that are left on any produce or the use of unauthorized chemicals. CFIA tests our products annually and we do not use illegal substances in any area of our farm. Do I need to refrigerate my produce? Fruits and vegetables stored in the refrigerator will last longer. Do Not Store Fruits and Vegetables Together. Fruits that give off high levels of ethylene (the ripening agent) can prematurely ripen and spoil surrounding vegetables. For Vegetables: before storing, remove ties and rubber bands and trim any leafy ends. Leave an inch to keep the vegetable from drying out. Make sure the bag you store the veggies in has some holes punctured to allow for good air flow. Pack vegetables loosely in the refrigerator.